Asian International College (AIC) is a leading college for early educators. We focus on providing certification, diploma and degree courses for individuals who are passionate about exploring a career in early education. One aspect of being a successful early childhood educator is to use storytelling with your students. Children love stories because they provide a fun and engaging way for children to learn. In addition, stories can enhance children’s psychological development. Stories are a great way to inspire a child’s curiosity and imagination, and the better you are at storytelling, the more inspired they will be! Children respond best when they are engaged in an activity; being expressive in your storytelling will keep children interested in the subject. You can use your body to demonstrate different movements and actions described in the story and encourage your students to do the same. This will help them feel that they are somehow a part of the story. In addition, students will find stories more entertaining and memorable if each character of the story has its own distinct personality. You can change your voice for each character in order to bring them to life in the mind of the student. Another way to be expressive in storytelling is to use sound effects. For example, if it is thundering in the story, you can make sound effects or use music that sound like thunder. Using different movements, character voices, and sounds will keep the students interested and will help avoid the story from becoming too boring for their active minds. You will become better at telling stories the more you practise. Practising storytelling regularly will help you become more comfortable using different expressions and voices. If you are more comfortable, you will be more successful at getting and maintaining the students’ attention. You can practise in the classroom with your students, but you can also practise at home, either by yourself or with friends and family. Start with one to three people, then increase in number as you feel more comfortable. until you feel more and more confident telling stories in front of an audience. Children love pictures! Pictures help students imagine a particular setting or scene. They can see the people and characters that you are telling them about. Pictures help students make concrete connections to abstract ideas and concepts, and the pictures also keep them entertained and engaged with the story itself. In addition to pictures, you might consider using props. For example, you can use sock puppets or stuffed animals to represent different characters. Physical imagery stimulates a different section of the brain than words do, so if you can combine your spoken storytelling with images to accompany it, you will be more successful at keeping the children entertained and building a connection with them through the story. All AIC courses are part of the Skillsfuture subsidies, which provide Singaporeans up to S$500 to take the next step in their educational endeavours. 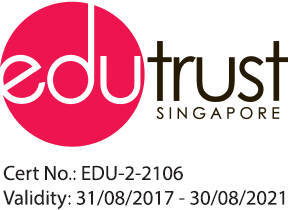 Our certificates can start as low as S$1,000, which makes this a significant discount! Additionally, installment plans are available, which serve to ease the financial burden of course payments. To aid you in finding a job post-graduation, we will host career fairs every three months. While we cannot provide our students with a guaranteed job, we will do our best to provide you with guaranteed job opportunities. Jobs are provided to students who pass the examinations and fulfil the criteria required to join one of the prestigious childcare institutions under Busy Bees. School and course intake occur every January, April, July, and October. Graduation takes place each August. This is a valuable and useful qualification to have, so don’t miss your chance to enroll! To find more information about our beneficial programmes, please visit our website. To sign up now, please register using the form on this page.